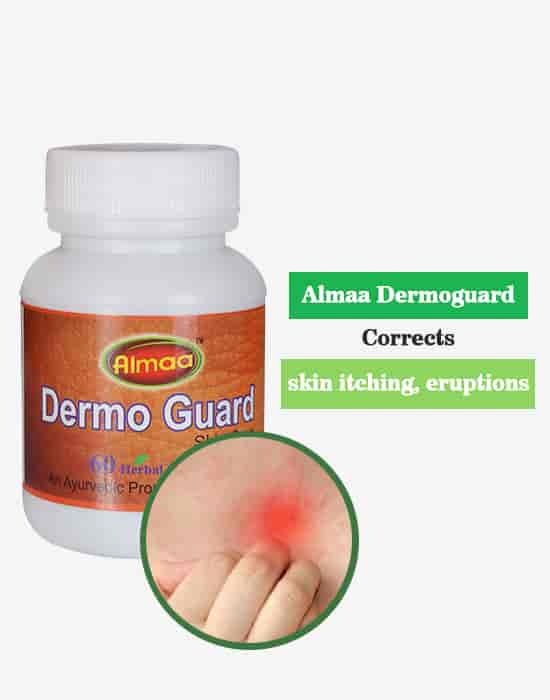 It combats skin allergy, elieves itching and skin dryness. 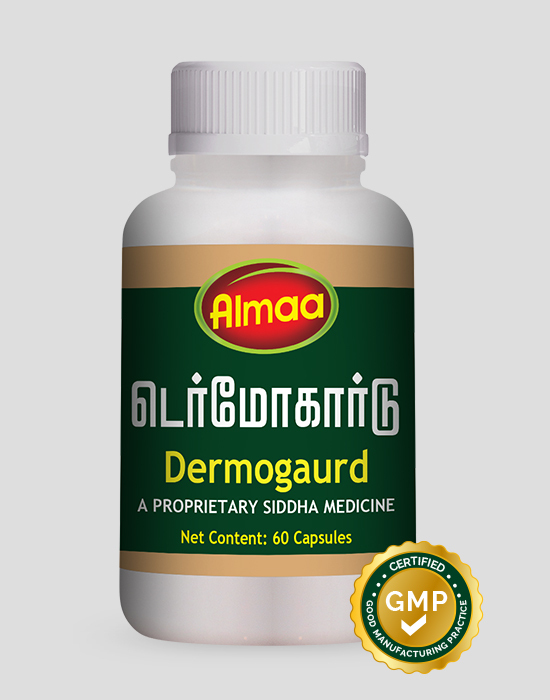 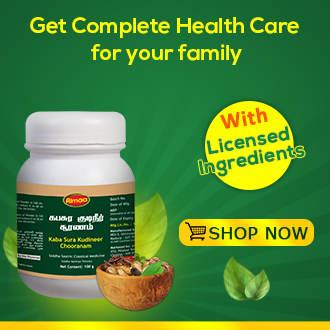 Dermoguard purifies the blood and thereby relieves skin ailments. 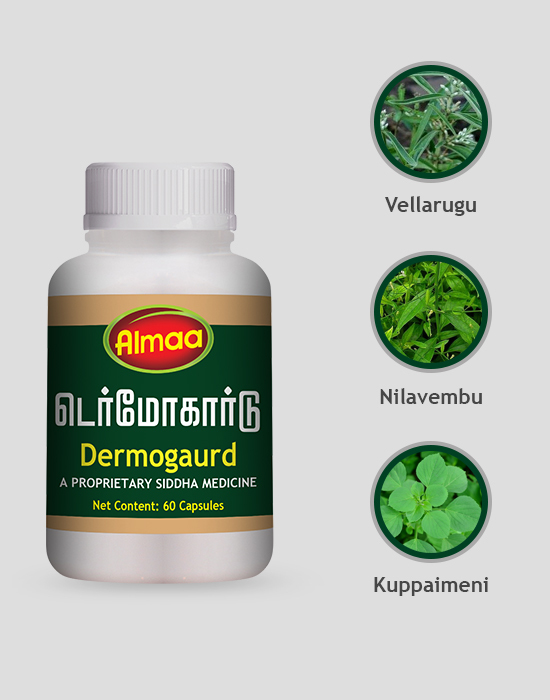 It combats skin allergy, relieves itching and skin dryness. 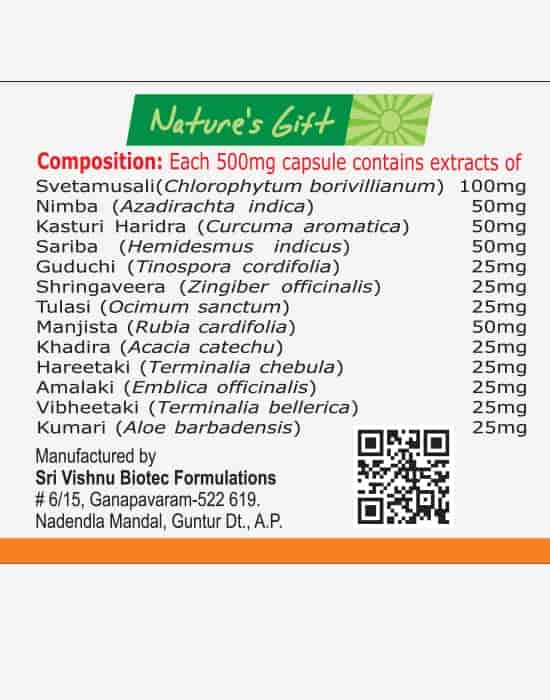 One capsule in the morning and night after food.